The Czech Republic has made progress in decoupling economic growth from freshwater abstractions, energy consumption, GHG and other air pollutants emissions. However, its strong industrial base and reliance on coal place the country among the most energy- and carbon-intensive in the OECD and air pollution is a serious health concern. Progressing towards sustainable development will require strengthening political commitment to a low-carbon economy and implementing more cost-effective environmental policies. 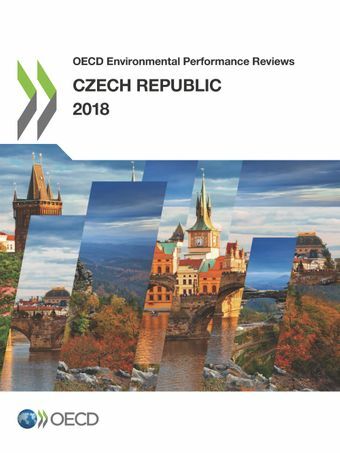 This is the third Environmental Performance Review of the Czech Republic. It evaluates progress towards sustainable development and green growth, with special features on waste, materials management and circular economy and sustainable urban development. "I am delighted to be back in Prague to present the OECD’s 2018 Economic Survey and the Environmental Performance Review of the Czech Republic. Let me begin by thanking Prime Minister Babiš for hosting us, and the Ministers of Finance, Health and the Environment for their presence and support in the preparation of these reviews." 16/07/2018 - The Czech economy is thriving but boosting skills and productivity is vital to sustainable and inclusive growth. Read the full press release / Čeština. For more information on this review please contact Frédérique Zegel, Review Co-ordinator for the Czech Republic.